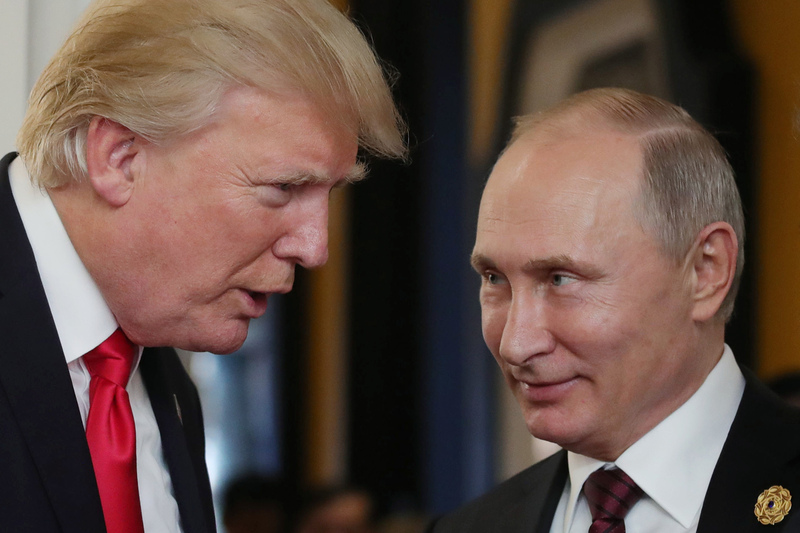 US President Donald Trump and Russia's President Vladimir Putin in November 2017. Photo: Mikhail Klimentyev, AFP. More than 130 U.S. House Republicans joined Democrats Thursday in opposing the easing of sanctions against an ally of Russia’s Vladimir Putin, dealing a rebuke to President Donald Trump‘s administration. The Democratic-controlled chamber overwhelmingly voted 362 to 53 approving the bill that would block the Treasury Department’s December move to lift sanctions on companies connected to Oleg Deripaska. The oligarch was targeted last year as part of U.S. congressional efforts to punish Russia for interfering in the 2016 presidential race. But the measure is effectively a dead letter, as a version of the bill failed to advance earlier this week in the Republican-held Senate. The sanctions relief, however, is set to move forward after a mandated 30-day review expires Thursday. The Treasury announced on December 19 it would end sanctions on Russian aluminum giant Rusal and two related companies after blacklisted billionaire Deripaska took action to sharply cut his stake in them. The sanctions ban Americans and companies with U.S. arms — like many global banks — from doing business with those on the U.S. blacklist. Engel and others had criticized the White House for announcing the plans in the end-of-year holiday period, with little time for the new Congress that convened on January 3 to organize and study the issue.